Walk into any American home built or decorated in the early 2000s and chances are good you’ll feel like you’re waiting for a table at Olive Garden. 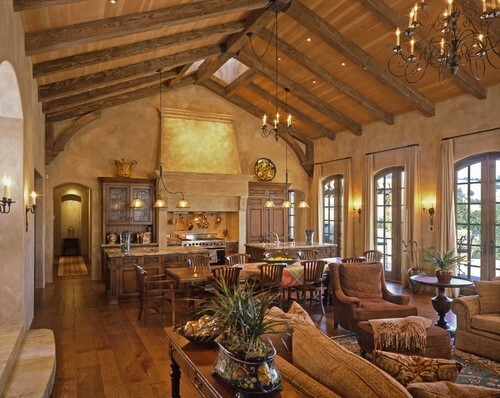 You know what we mean: the faux stucco, the heavy woodwork, the rooms awash in a heavy yellow glow—all trademark features of the Tuscan decor that reigned supreme at the turn of this century. Now, don’t get us wrong; we love Italy and everything it offers as much as the next person. But it’s high time to give Tuscan decor—or at least our bastardization of it—the boot. Because nearly two decades later, those once-sumptuous rust-toned drapes, the aggressively scrolled ironwork, and mottled yellow-gold paint now just feel like you’re living in a “low-budget period piece” and approaching “Disney territory,” says Diana Blasziewicz, an associate with TTR Sotheby’s International Realty in Washington, DC. If you bought into (and still love!) the look, you don’t have to gut the house and betray your abiding Italophilia. Important first steps include adopting a “less is more” mantra and being brave enough to admit that, OK, maybe actual Italians don’t decorate quite like this.. Try out these pro tips for dialing down the Tuscan-American melodrama while giving its authentic charms room to shine. First things first. The trademark palette of deep red, gold and brown is the cornerstone of the Tuscan aesthetic and possibly the most necessary element to address. Because coupled with the trend’s typical dark woodwork and weighty structural staples (Arches! Beams! Scrolls! ), the heavy hues can cast a suffocating pall on a room. The antidote is simple: Run fast in the opposite direction by neutralizing the darkness. 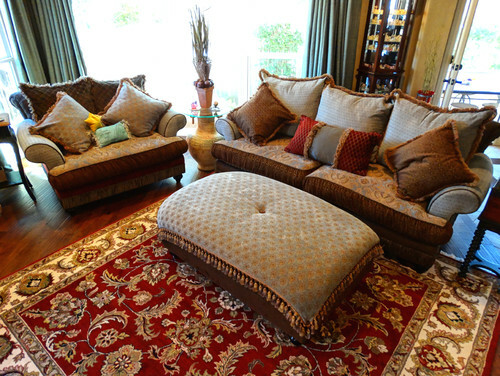 Layering a variety of textures can add dimension and interest—after all, this is the gospel today’s designers have been spreading for several years now. But when it comes to Tuscan decor, it’s safe to say we overdid it. “If you have a textured, painted stucco wall, weathered terra-cotta tile, aged bronze, and fake wood beams all in one space, it’ll be a little too much,” Blasziewicz says. Regain control of the room with flat-painted walls, airy curtains, and fewer patterns. Pick one texture as your focal point, and make sure the other surfaces in the room enhance rather than compete with it. 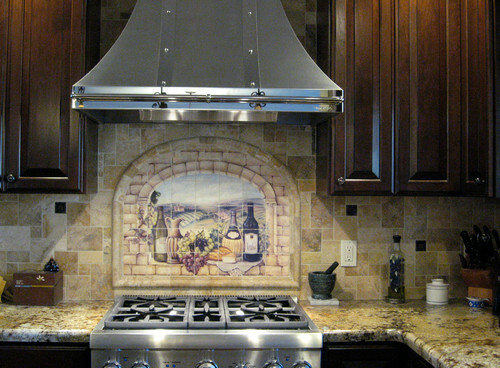 Swoopy, complicated-looking fixtures are a pillar in the Tuscan designs of yester-decade. Rethink those in favor of something simpler and cleaner, with lines instead of curves. 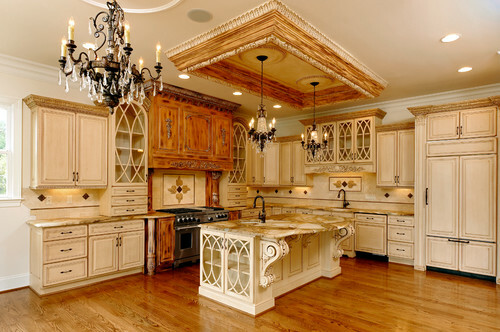 “Replace any bronze scrollwork light fixtures, railings, and other design elements,” says Blasziewicz, and go for a more geometric shape in a lighter bronze. “That will really update the Tuscan look fast,” Aston says. 4. Banish tassels et al. “If you have any furniture, wall hangings or curtains with tassels on them, just throw them away,” Blasziewicz says. Sure, Tuscany is known for its vineyards. And you’re known for your love of the wine they produce. We get it. Wine is great, wine is good; but trust us: Nobody in Tuscany is decorating with a grapes-and-wine-glass canvas. And you shouldn’t be either. For the perfect Luxury home in the Scottsdale Area, use one of the following search options, or call Pete Baldwin at 480.326.6521 and let him know what you are looking for.